Dr. Alister MacKenzie - "The Good Doctor"
Every golden age architect has their legacy. C.B. Macdonald is the grandfather of golf in the United States, Donald Ross was the most prolific designing over 400 courses, Tillinghast was the master at building stern championship tests, so what about Dr. Alister MacKenzie? I would argue that he was simply the best of his time. MacKenzie’s greatness spans across the world as he designed arguably the greatest courses in North America (Cypress Point Club & Augusta National), Australia (Royal Melbourne - West Course) and South America (The Jockey Club) as well as some of the best courses in the British Isles. 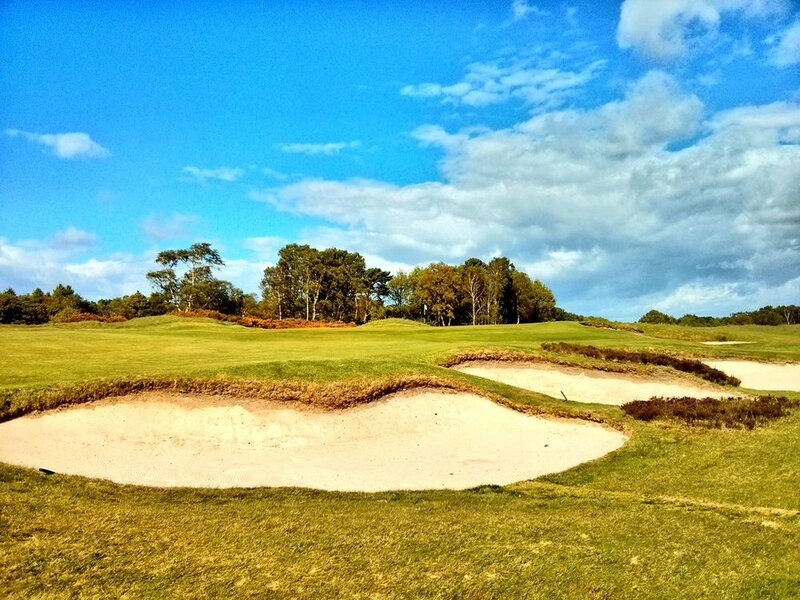 He was able to seamlessly blend his design features into the natural beauty of his land sites while still providing a strong and interesting test for the scratch player and a fun and playable course for the average players. Let’s dive a little deeper into how MacKenzie found his way into golf course architecture and how he has shaped the industry for years to come. Dr. Alister Mackenzie hailed from England, growing up near Leeds. Mackenzie went to school at Cambridge University to become a doctor and served in Great Britain’s military during the Boer War and later in World War I. During the Boer War, Mackenzie became fascinated with the Boers use of camouflage, a skill he later mastered. Ultimately, his skill came in handy, as he helped Great Britain use the strategy in WWI and later used it in his golf course designs. After his college years, Mackenzie caught the golf bug and played at Leeds Golf Club before becoming a founding member of The Alwoodley Golf Club. There, Mackenzie would get his first taste of golf course architecture when he sat on the Greens Committee and laid out the first design for the club. MacKenzie’s design at Alwoodley was bold and ahead of its time, so much so that his Greens Committee counterparts didn’t trust him and called in the already established architect Harry Colt to consult on Mackenzie’s work. Much to the chagrin of the Greens Committee, Colt agreed with MacKenzie’s bold concepts and design and was impressed with the young man’s intricate understanding of how modern technology (golf ball) was changing the game. Shortly after Alwoodley’s completion, MacKenzie was enlisted to design again, this time just down the road at a course called Moortown. The membership had only raised $500, which wasn’t enough for a quality course, so MacKenzie advised them to build one great hole. The final product ended up being Moortown’s, the “Gibraltar Hole.” The greatness of the now 10th hole attracted more members and money and eventually, MacKenzie went on to design the rest of the course which would host the Ryder Cup in 1929. MacKenzie’s design career was beginning to flourish just at the start of World War I when he would again serve his country. Following the war, MacKenzie decided it was time to give up medicine and pursue golf course architecture as a career, joining forces with the renowned Harry Colt and Charles Allison. After 4 years with Colt and Alison, MacKenzie decided to go it alone and it signaled the start of a flurry of travel and new projects for the up and coming architect that included trips to Ireland, the United States, Australia and even South America. MacKenzie became the first truly international golf course architect with a handful of designs on 4 different continents. During his time in the United States, MacKenzie formed partnerships with two formidable American architects, Robert Hunter and Perry Maxwell. Hunter and MacKenzie teamed up to design many of his west coast courses such as the Cypress Point Club, The Meadow Club, the Valley Club of Montecito and Pasatiempo while MacKenzie and Maxwell formed a partnership to design many of his midwest and east coast courses including Crystal Downs, Augusta National, and Nichol Hills (now Oklahoma City G. & C.C.). Shortly after the completion of Augusta National, Dr. Alister MacKenzie passed away suddenly from a heart attack. Much like many of his counterparts, the intensive travel required for his craft most likely played a role in his sudden death. Unlike many of his counterparts at the time, MacKenzie was not a great player himself which likely aided in the playability that his designs all possess. Much of MacKenzie’s design inspiration came from the Old Course at St. Andrews, which he considered the gold standard of golf course design. 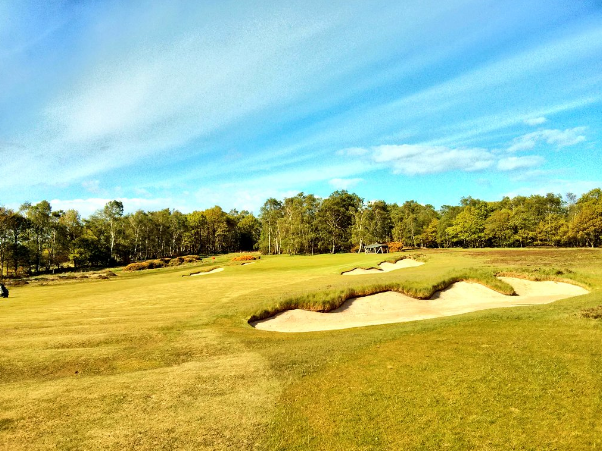 What seemed to stand out most about St. Andrews to MacKenzie was the naturalness, playability and endless amounts of shot options that the design possessed. MacKenzie published his 13 principles for an ideal golf course for English newspaper Golfing. These principles are republished in both of his books Golf Architecture and The Spirit of St. Andrews. Amazingly, these 13 principles still stand today as excellent guidelines to build a course by. MacKenzie left his mark beyond those basic principles with a few signature characteristics which are easy to see at almost all of his designs. They include the naturalness of his courses, the undulations in his greens and fairways, and his beliefs of bunkering and construction. Naturalness - Mackenzie took the deep understanding of camouflage he learned in the military to the golf course. He became the best architect at blending his manmade features in with the natural look and feel of the course. 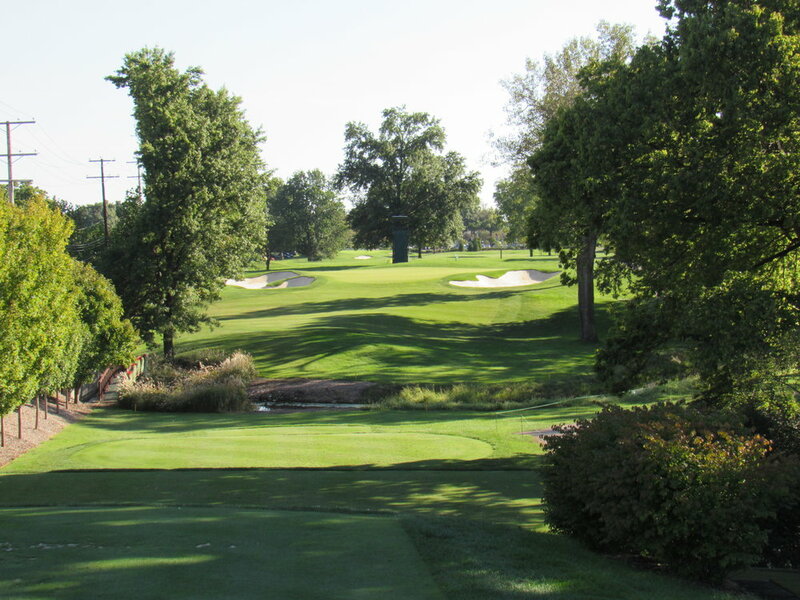 When playing a MacKenzie course, it’s almost impossible to discern what hills and mounds were originally there and which were put there by his design. 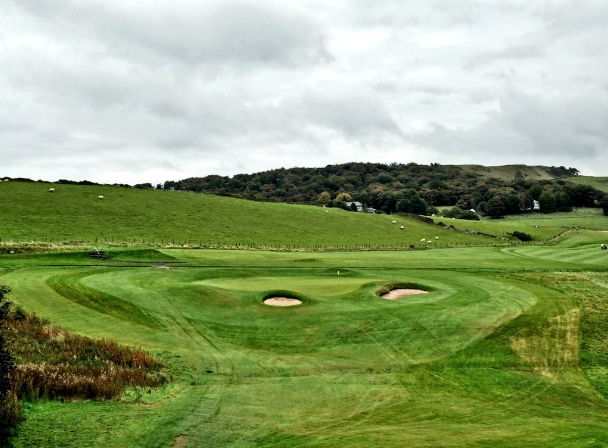 Undulations - Mackenzie believed that there wasn’t anything more boring on a golf course than flat fairways and greens. Thus, he loved to test players by presenting unique challenges with sloping lies in the fairways and challenging (but fair) green complexes. While MacKenzie was an expert at designing greens, his complexes were taken to the next level when he partnered with Perry Maxwell who has a claim at being the best green complex architect ever. The undulating fairways at Crystal Downs that are reminiscent of a coastal British Isles course. Bunkers - The good Doc thought that most of the golf courses that existed had too many bunkers. He believed in very well thought out placement of bunkers, placing them where players would likely hit it if the bunker wasn’t there. On MacKenzie courses, you won’t see hundreds of bunkers, but rather, a few carefully thought out bunkers that are always in all the right (or wrong) spots. As for the construction of bunkers, Mackenzie picked up his bunkering style by watching the way soldiers dug trenches. He learned that trenches that had slopes at the bottom and the top would hold up in comparison to those whose high face was coupled by a flat bottom. Thus, with MacKenzie bunkering you will typically see a splashed up face with sloping back parts all of which funnel balls to the middle of the bunker. At the time of his death (1934), MacKenzie was posturing for limiting the distance of the ball and having a 6-club limit. He felt that the new technology and longer golf balls was ruining the architecture of great courses (sound familiar?). At the same time, clubs were very expensive, so the more well to do golfers would often have the resources to obtain more and better clubs.